Kone India is considered as one of the top elevator companies in India. It has been successfully offering a wide range of elevator and escalator solution. Kone today employs almost 3000 people in the country. Fujitec is a company from Japan that was founded in Osaka in year 1948. It entered the Indian market in the year 2004 from Chennai. The company has been effectively dealing with installation, service and maintenance of elevator, escalators, auto moving walkway and industrial material handling. Schindler elevator is a subsidiary of Schindler group form Switzerland. It is counted among the top elevator companies in India. 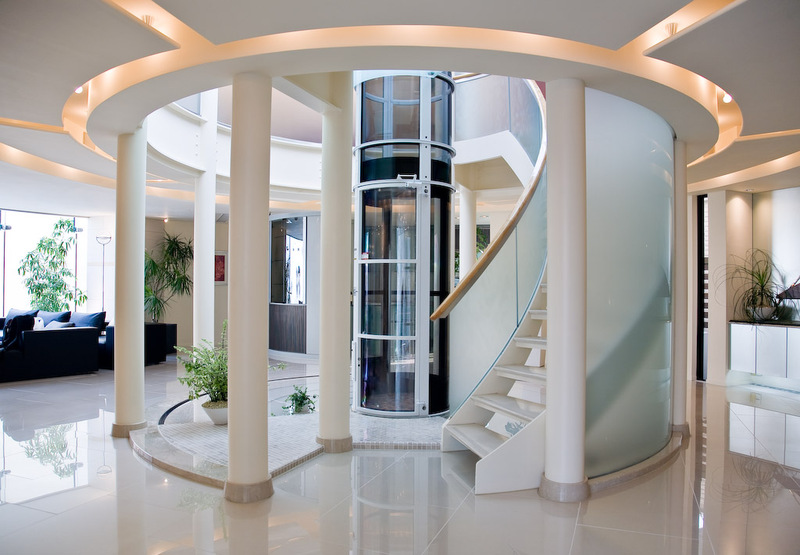 It is a globally accepted manufacturing company offering products like elevators, escalators, moving walks etc. Mitsubishi Electric is another leading manufacturer of electronics and electrical equipments for the domestic, commercial and industrial sector. The company came to India in 1950 and ever since have become of the reputed companies in the country offering a wide range of equipment solution including elevator and escalator manufacturing. The Otis Elevator Company has been efficiently operating in 150 countries as of today. It is a global leader in elevator and escalator manufacturing. A few of the major products produced are freight elevators, escalator, moving walks and boarding bridges. It has more than 1.5 lakhs employees around the globe. Hitachi has been in the good books of the customers in terms of Hitachi lift (elevators & Escalators). It was established year 1920 and is one of the leading lift companies in India. It also has a significant amount of market share in industrial equipments and machinery. Kinetic Hyundai is a joint venture between Firodia group and Kinetic engineering. It is actually a joint venture between Firodia group and Kinetic engineering a flagship company of the giant Korean leader Hyundai Ltd. It is considered as the best among the top escalator and elevator companies in India offering products like lift, elevator, airport baggage handling and automated warehouse systems. ThyssenKrupp Elevator was established in year 1853. They offer elevator solutions to more than 200 countries globally. They are expertise in the field of installation and maintenance of elevator, escalator, moving walks and so on. Omega Elevators is an ISO certified company Escon elevators which is ranked among the top 10 elevator companies in India. The company is currently headquartered in Mumbai with sales offices located all over the country. Express lifts Ltd is a growing lift manufacturing company in India. The company was established in year 1995 and ever since has been dealing with hydraulic lift, traction lifts, hospital lift and car elevators. If you wish to add a few more companies to the list, you are welcomed to do so. Leave us your comments on your say and suggestions.